Today I’m going to continue on with my top 100 list of things I love, adore and would be hard-pressed to live without. To see #1 to 20, click here and here! 21- Belt…I love belts, old or new, hair on hide or tweed, you name it, I’ll love it! 22- Flip Flops….nothing says summer like the sound of flip flops…it’s kinda like the smell of freshly cut lawn…mmmmm! 26- Oversized Sunglasses….anyone who knows and loves me must love my sunnies….or at least tolerate them! 27-Cute sundresses…now hurry up summer! 29- Sandals…same idea as the flip flops, but I love the hair on hide ones!!! Since mother nature can’t decide…..
…….is it spring or winter?!? And this jacket!! 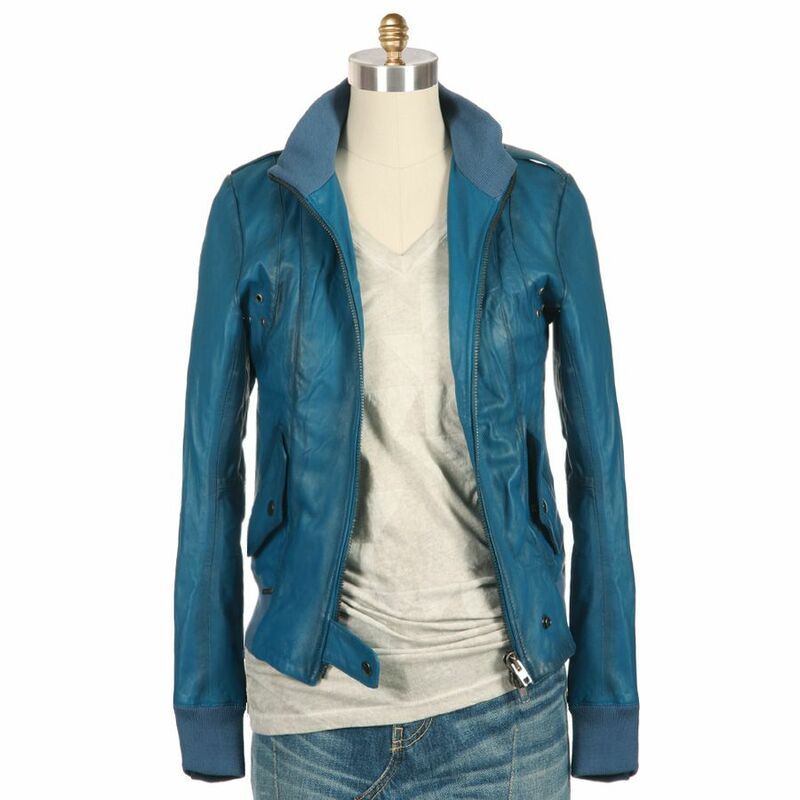 Turquoise leather!! LOVE! Add a cute belt to your favorite jeans and voila!!! Combine these three pieces and you have a great spring/winter/spring/winter look!! This week’s look is from Jennifer….and three for one!! The jeans are a staple that everyone has and now here are three easy spring/summer looks to try. I’ve left the sunglasses out on purpose….everyone has a pair or style they love…me, not so hot for the aviators, so I’d wear ones that are huge and black……or just for fun buy a cheap pair…they do make really nice ones at Joe Fresh (Superstore)! This cardigan is a cute color and nice & light for spring. I couldn’t find an exact match to her shirt (which I really like), so if you have any suggestions?! 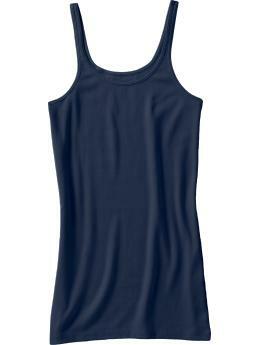 Easy black tank…just about everyone has one of these! Now for the fun part….accessories…I love jewelry and I love finding new and interesting ones. Of course I’ll never turn down expensive (!) but costume jewelry is super-fun and affordable…. …and if you break or lose it….there is no crying! 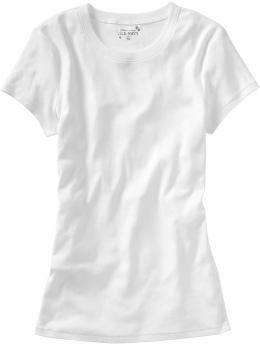 Again, this white tee is a must-have basic. So easy to find and layer or dress up or down with a blazer or like Jennifer, throw a necklace on and you’re good to go!